Le Paradis campsite in the Périgord Noir (Dordogne) was founded on passion. Nearly 50 years ago, Wim and Fien Kusters fell in love with this region of France, far from their native Holland! They settled this land like pioneers, making their contribution to the development of the area’s tourism. Their son Gé and his wife Ellen are now pursuing the adventure. In the beginning, in 1967, Wim and Fien Kusters set up the campsite on a vast prairie. Following the construction of its first swimming pool in the 1970s, Le Paradis campsite acquired local acclaim and has never since ceased to prosper. 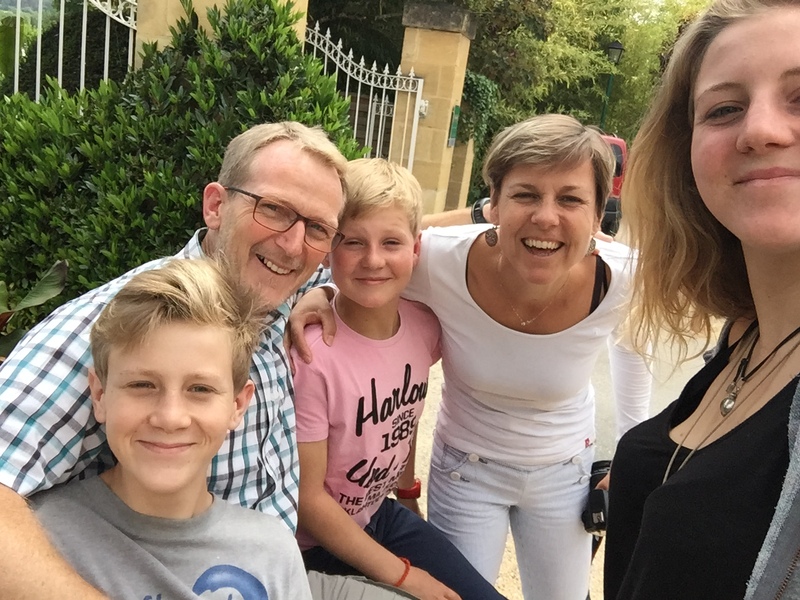 Wim and Fien’s son Gé and his wife Ellen took over the campsite management in the 1990s and continue to uphold the same values : hospitality, generosity, dynamism, and the perpetual renewal of excellence to bring you the best holiday possible. • 2011 : The campsite receives a five-star rating : this is a particularly illustrious distinction in France reserved to luxury campsites in recognition of the quality of the infrastructures and services available. Ellen and Gé with their three children: Emmy, Guillaume and Gabin. Oh, and Daf, the Labrador who loves to stretch out in the sun in front of the campsite reception !